My latest e-book, Lessons in the Dark, is now available exclusively at Amazon. com. Why Lessons? Simply because watching movies for me has always been more than just entertainment. It was art, history and it was education. I have found many classic (old) films to still be relevant to our lives today. For example, my father always talked about how tough it was growing up during The Great Depression. However, it was not until I watched films like Wild Boys of the Road and The Grapes of Wrath that I truly began to understand what it was like. I also came to see how today many of these old films have remained relevant to our society and can teach us not to repeat our mistakes. In this book I have compiled a series of essays on films that reflect one or more of these themes. I hope you enjoy. Below is a link to Amazon. Before Bernie Sanders there was Bernie Rhodenbarr, Lawrence Block’s expert thief and used bookstore owner. While Bern is good at his chosen profession, unfortunate situations always seem to occur, like an unexpected dead body showing up at the wrong time which forces our anti-hero to have to investigate the murder in order to clear his name. I have been a admirer of Lawrence Block’s work for years now. He first came to my attention one day, during a lunch break from work, browsing the bookshelves in one of the local libraries. It was one of the his Bernie/Burglar books that caught my attention. Bernie first appeared in 1977 with Burglars Can’t Be Choosers. With his second outing, the series settled in a series of titles beginning with The Burglar Who… With the third book in the series, The Burglar Who Liked to Quote Kipling, published in 1979, Bernie acquired a bookstore in Greenwich Village. Eventually, Bernie got a cat he named Raffles, a gift from his best friend and Village soulmate Carolyn Kaiser. After all, what second hand bookstore doesn’t need a cat? In all, there are eleven books in the series plus a few short stories. There is not a bad one in the bunch. The last one, The Burglar Who Counted Spoons, was published in 2013 after a nine year hiatus. The books are chock full of sharp witty dialogue and wonderful characters. If you are familiar with Lawrence Block, you know that The Burglar books are just a small piece of his complete output of work. Block’s other great character is Matt Scudder, an ex-cop and recovering alcoholic who does “favors” for friends and clients. Scudder quit the force after accidently causing the death of a young girl. His life soon fell apart; he left his family and moved into an old hotel in New York’s Hell’s Kitchen area where he earned money working as a unlicensed P.I. doing those “favors” as he called them. The Scudder books, as you may have guessed, are much darker but just as brilliantly written. In 2014, an excellent adaptation was made of his novel, A Walk Among the Tombstones, with Liam Neeson as Scudder. Until this film, Block had not had much luck with his work being transferred to the screen. From Nightmare Honeymoon to Burglar, one was worst than the other. In the latter film, Bernie was transformed into Bernice and portrayed by Whoopi Goldberg. Nothing against Ms. Goldberg, but who the hell thought this was a good idea? From what I have read Block has not expressed much interest in doing anymore Bernie books. Which for me and many fans is sad. Still, we can hope. Bob Gruen is one of rock & roll’s finest photographers. Over the years, he has photographed many of the greats including The Rolling Stones, Bob Dylan, Led Zeppelin, Kiss, The New York Dolls and most famously John Lennon. Gruen met Lennon in 1971. They became both friends and business associates with Bob becoming the former Beatles personal chronicler of his New York years. Many of Lennon’s most iconic images from this period including the rooftop photos with John wearing a New York City t-shirt and his holding up a peace sign while standing in front of the Statue of Liberty were taken by Bob Gruen. In 2005, Gruen published an excellent book, John Lennon: The New York Years, collecting the best of his Lennon photographs. I highly recommend any Lennon admirer adding it to their bookshelf. Below are a few photos from the 1974 rooftop session. The first photo is the now iconic New York City t-shirt shot. The second photo is an interesting behind the scene polaroid of Gruen photographing Lennon during that now famous session. Finally, one of Gruen’s contact sheets from the shoot. If you are a photographer like me or a Lennon admirer, there is a very good documentary on Bob Gruen that covers his entire career. It called Rock and Roll Exposed: The Photography of Bob Gruen. Unfortunately, it’s not on DVD, however, it does show up on cable occasionally. 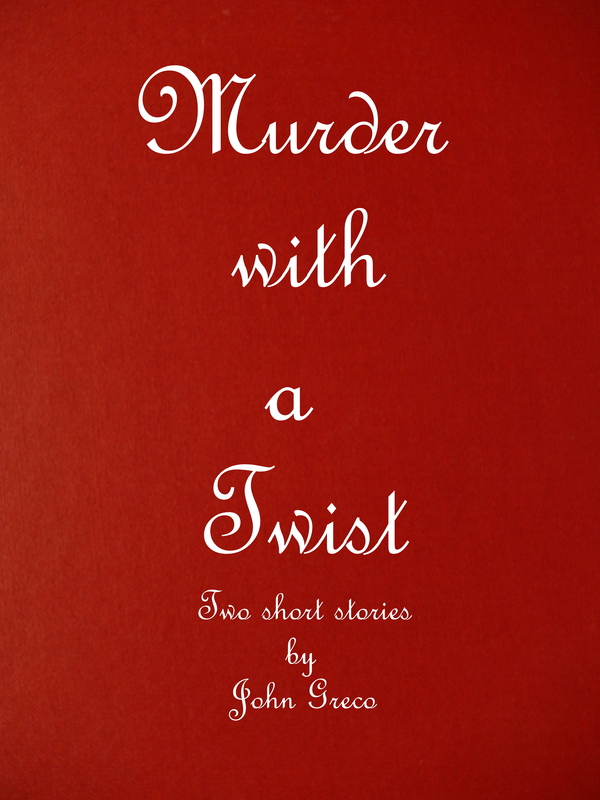 Two short stories (Salt Free Diet and The Green Light) of murder and revenge are now available at Amazon.com for only 99 cents. Click on the link below.